I was investigating the consequences of selling the tiny house and ran across something. If the sale of the tiny house is treated as a capital gain, then I need to consider whether it is a short term or a long term gain. According to the Turbo Tax site, you must own the asset for over one year to be considered a long term gain. A short term gain is taxed at the 35% rate while a long term gain is taxed at 0-15% depending on your tax bracket. So if the tiny house sold for $15K, we be talking about a tax liability of $2275 (assuming cost basis of $8500) if I sell it before February 22nd or $975 if I sell it after. That kinda seems like a good reason to hold on to it for another month to let it become a long term asset. And until I sell it, I can continue to depreciate it as business property. When I either sell it or move in to it, I’ll have to stop the depreciation. 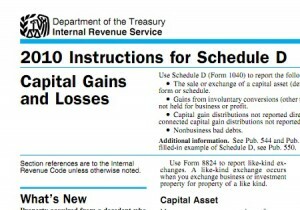 This entry was posted in Regulation and tagged capital gains taxes, tiny house taxes. Bookmark the permalink. Hmmmm… This never occurred to me but then I’m not a tax guy. You might want to chat with a pro. One thought though. I would assume that a tiny house you build to sell wouldnt bs an asset but a business expense recorded on your schedule C. So it wouldn’t be capital gains, it would be net sales minus costs, right? Without having talked to a pro, I think it can be characterized either way. If you buy a car, fix it up and then sell it, you’re supposed to report it as a capital gain. If you’re a used car dealer and you do that, I believe it’s a depreciable business asset. If you build a car from scratch then the supplies are probably a business expense. If you treat it as a business asset, then the question is do you pay yourself for the labor involved and give yourself a 1099? At first glance, I’d think income is taxed at a higher rate than capital gains so probably not. I think in grey areas like this, the IRS waits to see how you characterize it and then taxes you accordingly – kinda like whether you opt to deduct specific expenses on your vehicle or straight mileage. I’ll ask a tax person about this when I get my taxes done this year and see what the considerations are.